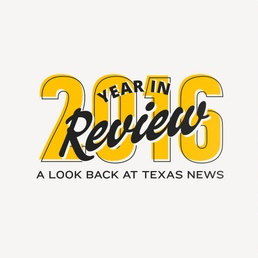 A new Texas education commissioner vowed to crack down on district and campus accountability, a drawn-out court case over school finance ended and federal officials began investigating an alleged cap on special education services in Texas school districts — those are among the highlights of the year 2016 in Texas public education. On May 13, the Texas Supreme Court unanimously found the system Texas uses to fund its schools constitutional but in need of serious reform, marking only the second time the court has upheld the system in seven rulings since the 1980s. The decision worried officials from more than 600 school districts who brought the original case challenging the system, but it left room for legislative change. Adding fuel to the fire, Houston Independent School District residents voted in November not to send $165 million in local property taxes to poorer school districts, a hit on the “Robin Hood” state plan intended to ease financial inequity between districts. Texas Education Commissioner Mike Morath sent a letter to HISD officials saying the education agency would likely move commercial properties from the district's tax rolls to the tax rolls of another district to make up the money. A Houston Chronicle series alleging that the Texas Education Agency was capping special education services for public school students at 8.5 percent turned heads across the country – and resulted in a federal investigation. Agency officials denied the allegations and said they would change the system, in case it was confusing districts. The U.S. Department of Education joined TEA on visits to five Texas cities to gather public comment on special education and see whether the state is denying services to students with disabilities. In the first year New Jersey-based Educational Testing Service developed and administered the state STAAR exam this March, a computer glitch wiped out answers on more than 14,000 tests. School district officials also reported receiving test results for students not enrolled in their districts and improper handling of student Social Security numbers. Though Texas Education Commissioner Mike Morath said the problems affected a small number of students, the errors fueled groups already opposing the STAAR exam. The head of an administrators association argued the scores should not be used to rate schools or determine student graduation. Meanwhile, a special panel charged with recommending changes to the state’s testing system decided not to recommend scrapping STAAR, signaling the Legislature likely won’t get rid of the test. After the Obama administration in mid-May ordered every school district in the country to let transgender students use the bathroom that corresponds with their gender identity, some Texas Republicans were furious and vowed to block the directive. The fight was even closer to home in April when Fort Worth Independent School District Superintendent Ken Scribner approved a bathroom policy to accommodate transgender students. Lt. Gov. Dan Patrick called for Scribner’s resignation and prompted Texas Attorney General Ken Paxton to issue an opinion saying Forth Worth ISD had violated state law. Fort Worth ISD then revised the guidelines, continuing to accommodate transgender students but striking a passage that allowed school staff to withhold information about a student’s gender identity from parents. The State Board of Education unanimously voted Nov. 18 against a controversial Mexican-American studies textbook that Hispanic activists and scholars had spent months critiquing as racist and inaccurate. Cynthia Dunbar, former board member and CEO of the company behind the textbook, said that any move to reject the book would be “unconstitutional.” That week, the board also issued another call for ethnic studies textbooks for 2018, which could include Mexican-American studies. Correction: A previous version of this story misrepresented the timeline of the Fort Worth ISD bathroom policy and Obama administration directive.